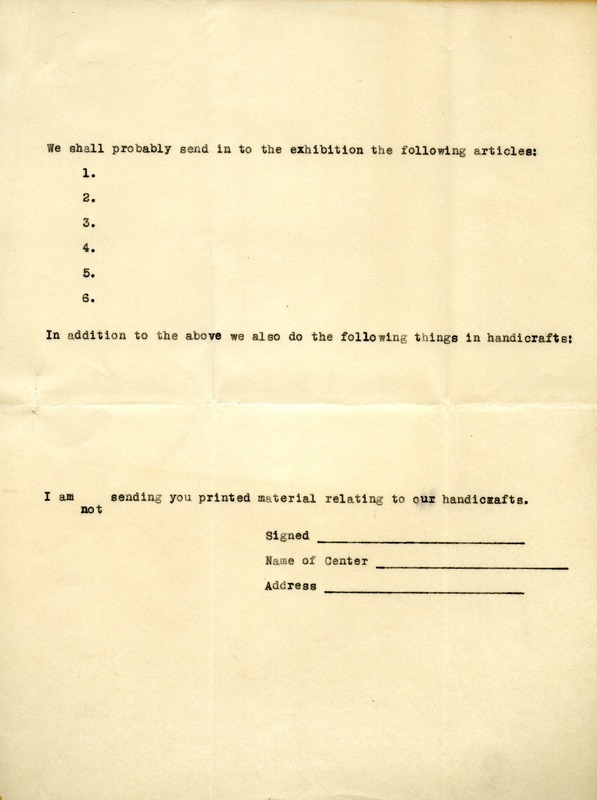 Mr. Eaton writes that he is helping arrange the exhibits of handicrafts at the Conference of Southern Mountain Workers and asks what kind of objects she will send and other things that are made at Berry in addition to what she is sending. He also asks for printed materials about the handicrafts and offers to send it back if she wishes and encloses a form for her to fill out. 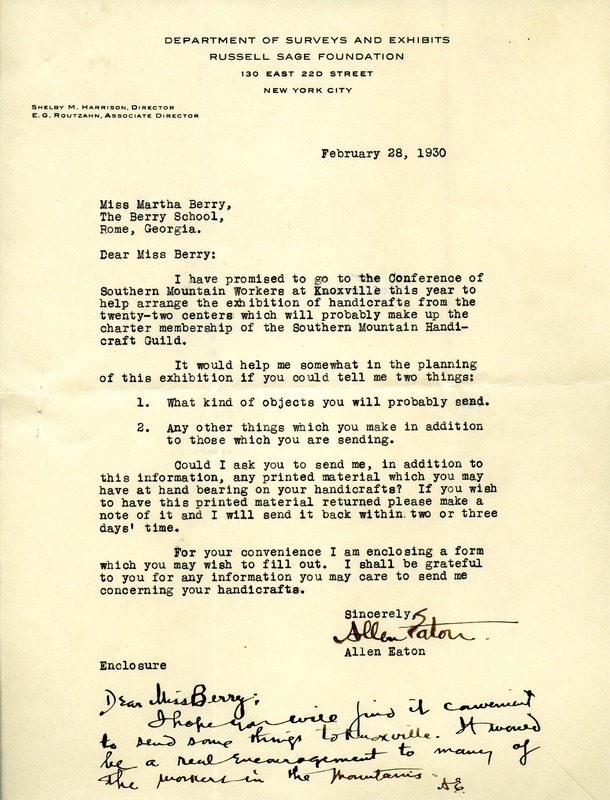 Allen Eaton, “Letter to Martha Berry from Allen Eaton.” Martha Berry Digital Archive. Eds. Schlitz, Stephanie A., Sherre Harrington, Chelsea Risley, et al. Mount Berry: Berry College, 2013. accessed April 19, 2019, https://mbda.berry.edu/items/show/12457.